Local telecommunications giant PLDT has teamed up with entrepreneurship advocate Go Negosyo to empower micro, small and medium entrepreneurs (MSME) with e-commerce capabilities, thereby allowing them to thrive in the digital marketplace. With this partnership, PLDT and its digital innovations arm Voyager Innovations (Voyager) aim to support the program of the Department of Trade and Industry (DTI) to equip more than 100,000 MSMEs with digital solutions by 2020. To push that agenda, PLDT SME Nation and GoNegosyo will provide the three “M’s”—specialized business training and mentorship, access to wider marketplaces through technology and an online selling platform, and money — thereby broadening access to funding and capital to jumpstart their business. Through more than 750 Negosyo Centers nationwide, local businesses can participate in Go Negosyo’s “Mentor Me” program which has been expanded to include training in setting up and managing online stores through the Tackthis!, the online store builder of Voyager. This platform also provides small enterprises with the logistics capability to deliver goods to their online buyers. Once online, MSMEs can reach a wider market nationwide through Takatack (www.takatack.com), Voyager’s virtual marketplace. Business owners can gain ready access to capital and financial support through Voyager’s digital lending platform Lendr (www.lendr.com.ph), which helps MSMEs apply for various loan offers from participating banks and lending institutions. The program also aims to allow merchants to accept mobile cashless transactions through PayMaya QR, which provides their customers a seamless payment experience via QR (quick response) code technology while at the same time eases the burden on cashiers and front-counter agents. 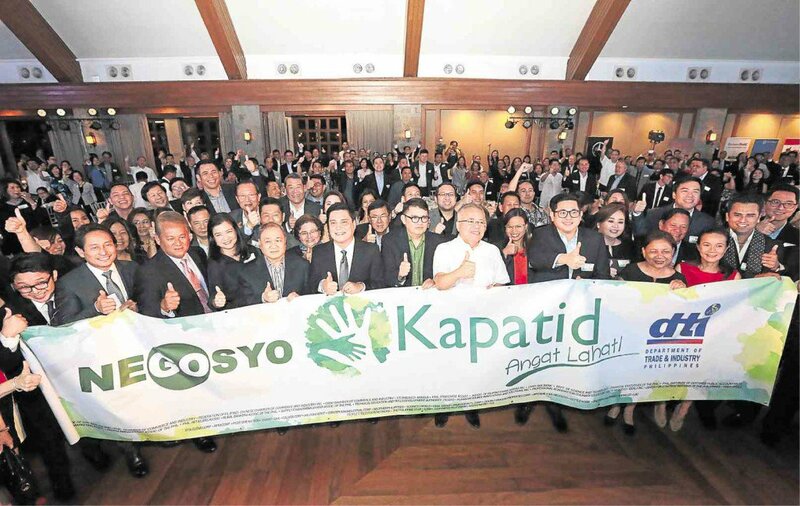 “The enablement program covers much of what business owners need to ready themselves in expanding their operations and putting up a presence in the online market space as we’ve all seen how e-commerce has become the new frontier among Filipino consumers,” said Go Negosyo founder Joey Concepcion. “We not only empower business owners by enabling them with latest available technology solutions to quickly establish their global presence online. We also help them optimize their business potential and enhance their market competitiveness through selling and fulfilling transactions using these readily deployable innovative platforms”, said PLDT & Smart chief revenue officer and ePLDT president and chief executive officer Eric Alberto. “Through this program, MSMEs across the country can acquire new skills and capabilities that will enable them become successful players in the fast-emerging digital economy,” said Orlando Vea, president and chief executive officer of Voyager and PayMaya Philippines.